Elaine Hancock (Olney, United States) on 14 April 2019 in Plant & Nature. 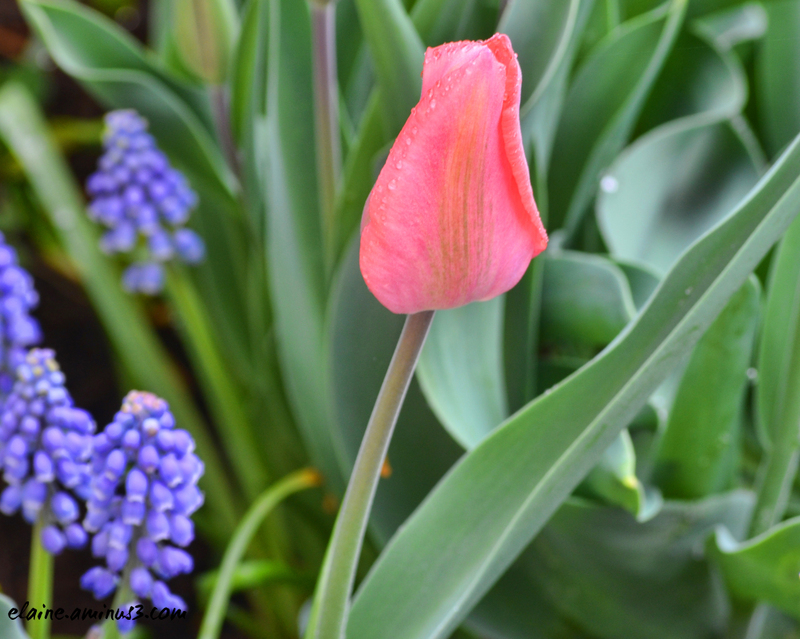 My pink tulips just came up with the blue grape hyacinth. Everyday there seems to be something new popping up and ready to bloom! Beautiful colors in this close view. Very nice with those drops on the tulip. a nice capture along with the Blue Grape Hyacinth..and the green leaves !!! A beautiful image of the lovely blossoms. Jolie couleur, j'aime les tulipes. You are enjoying spring, pink tulips make a pleasant sight with tiny droplets. Lovely image.